The Beat collection offers the possibility of making clusters of pendants. 3 kits are available, for 3, 4 or 6 lamps; they include the lamps presented and the canopy. Material brass cable white fabric, 2.5m ceiling Rose Ø12.5cm Bulb not included. The Beat collection is a major success of Tom Dixon. Inspired by traditional pots, it is spun and hand beaten by renowned skilled craftsmen of Moradabad in Northern India.Their irregular inner surface contrasts with the polished exterior. The Beat collection includes Wide, Fat‚ Stout, Tall, Floor, Table and Wall. 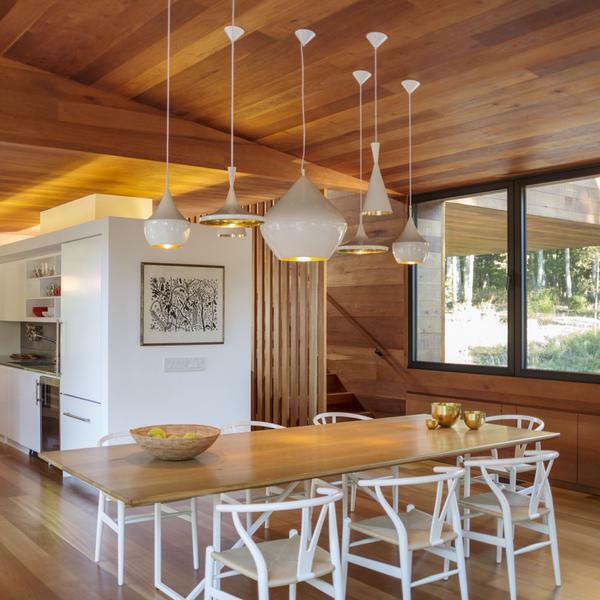 The pendants, whose forms combine perfectly, can be hung in mismatched group. Beat collection is available in black/brass‚ white/brass and brass. Compatible with LED 3W Light Bulb.